This purple and green mosaic mirror is a stunning handmade piece of mosaic art and is made to order by Green Street Mosaics. Please allow 3 weeks to create and ship. Customized options available. 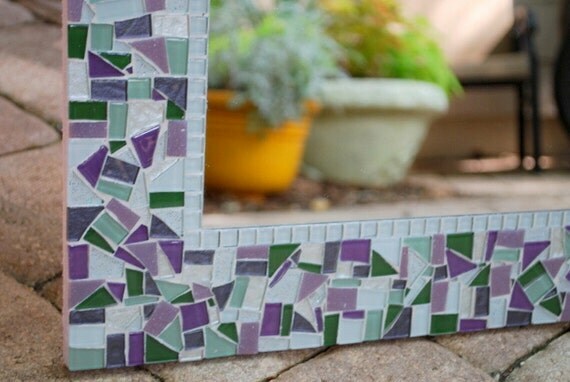 Mosaic mirrors are the perfect way to add handmade art and personalization to your wall decor. They are sure to become the focal point of any room.